2018 Cisco Networking Academy Instructor Conference – India was held on 8th-9th February, 2018 at Noida. Ms Damandeep Kaur(TO) and Smt. 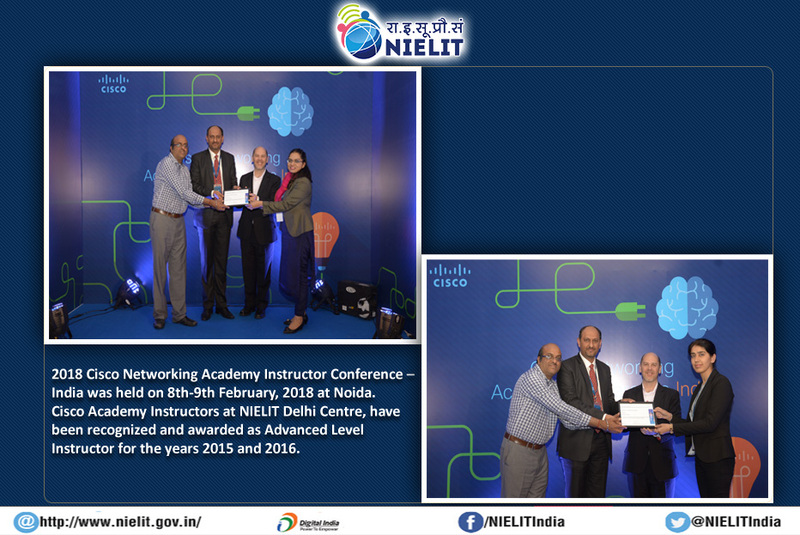 Shaweta Sharma(DD), Cisco Academy Instructors at NIELIT Delhi Centre, have been recognized and awarded as Advanced Level Instructor for the years 2015 and 2016. This award recognizes their achievements as one of the top 25 percent of instructors globally in student feedback and performance and as a result of their accomplishments and contributions to Cisco Networking Academy.